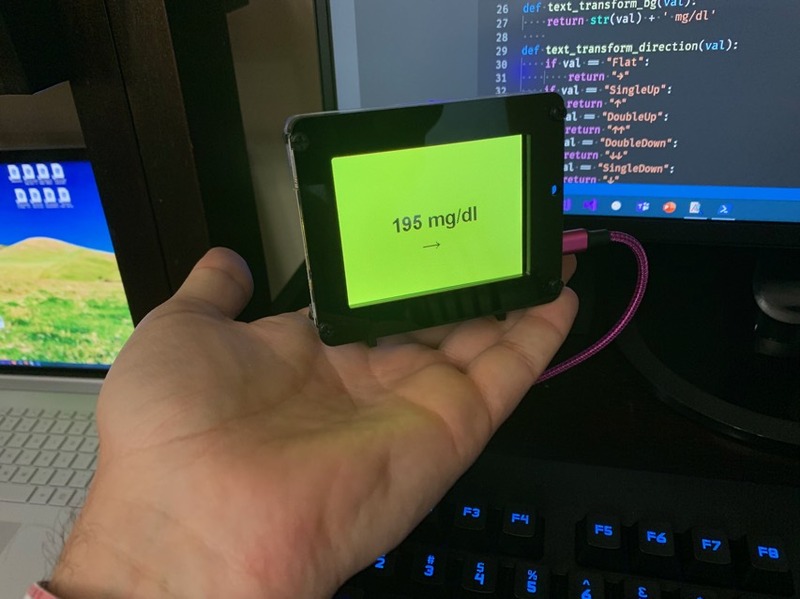 Displaying your realtime Blood Glucose from NightScout on an AdaFruit PyPortal by Scott Hanselman @shanselman @NightscoutProj #diabetes « Adafruit Industries – Makers, hackers, artists, designers and engineers! Displaying your realtime Blood Glucose from NightScout on an AdaFruit PyPortal – Scott Hanselman. Read more, code, and Chortkeh BDF Font viewer which I did not know about!